Have you ever presented the gospel to someone, or maybe a lot of someones, and at the end of that presentation you felt like a complete failure? There are times when it seems that we have expended a great deal of energy and passion proclaiming the word, only to receive a polite, but firm brush off by the hearers (and sometimes not so polite!). We are so convinced that what we have to say is so important and timely, and indeed it is, that we have trouble understanding how anyone could not embrace the gospel we preached the minute they hear it. That must be how Jeremiah felt. Jeremiah was one of the prophets, along with five others, who preached to the people of Israel immediately before and following the destruction of Jerusalem by the Babylonian army. In 586BC, Nebuchadnezzar, then the king of Babylon, destroyed Jerusalem and burned down the temple. Along with the prophet Daniel, he took about 2,000 Israelites captive, the great majority being the intelligentsia of the country at the time. Jeremiah, however, was given the choice by Nebusadaran, the king’s captain of the guard, as to where to go and what to do. Jeremiah chose to remain in the land and continue the work of preaching to the people. 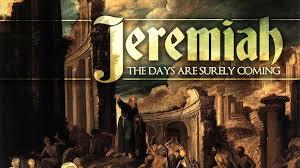 Jeremiah had begun preaching in 627BC during the reign of King Josiah. 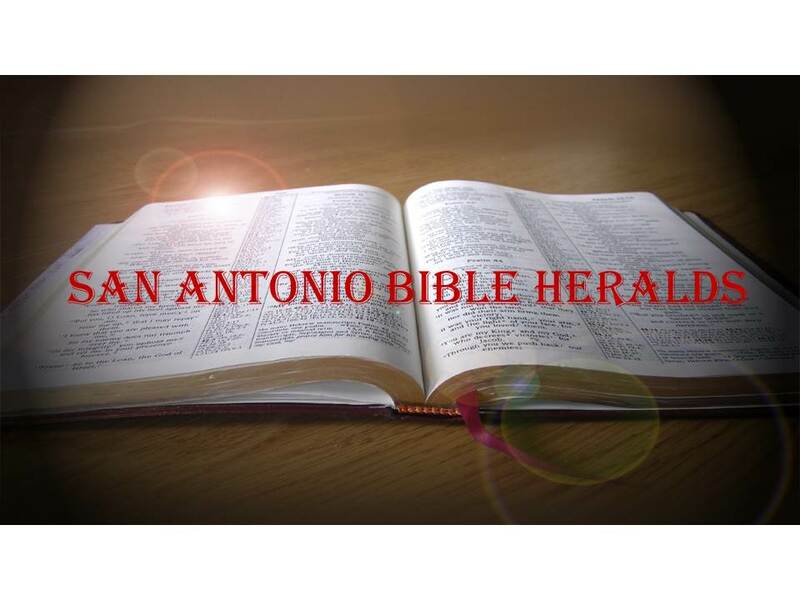 Josiah had found the book of the Law and had instituted a series of reforms based on his findings. These reforms, however, were short lived. When Josiah died during a battle against the Egyptians at Carchemish, his sons quickly reverted to the old way of doing things. Once again, Jeremiah warned of the doom that would envelop the nation if they did not repent of their sin. But, the people would not listen. And it was not only the people at large who did not hearken to the words of the prophet. His friends, the priests, the King and even his relatives would not listen to this message, going so far as to ridicule him and, at one point, throw him into a cistern where, the Bible tells us, he sank in the mud! But the more they abused the prophet, the more he continued to sound the alarm. When he presented the book of his prophesies to King Jehoiachim, the king cut the writing in pieces and threw it into the fire. However, God gave Jeremiah those prophesies once again and he, along with his scribe Baruk, wrote them all again, this time adding some new ones that the Lord had revealed. And so it went: Jeremiah would prophesy, the people would not listen and the prophet would suffer ridicule and abuse at the hands of the Israelites. In the end, he was forced to go into exile in Egypt where, Jewish tradition tells us, he was stoned to death after he had finished his prophesies. With all this, anyone would be forgiven if they thought that Jeremiah was a failure. After all, he warned and warned and warned, but the people would not listen. But an interesting thing about all this is that Jeremiah was not a failure. On the contrary, he was a success of the first order. Although he had expressed doubts about his fitness to bring the message of God to the people, he accepted the call of God to preach. The more he attempted to refrain from proclaiming the message, the more he felt there was a fire burning within him he could not restrain (Jeremiah 20:9). In spite of all the persecution and distress to which he was subjected, he never wavered in the mission that God had given him. And therein lies Jeremiah’s greatest success. Although the people did not respond to his warnings and they never repented of their wicked deeds, he was faithful in delivering the message when God wanted him to do so. The lesson for us is clear. The result of our preaching is not up to us. The important thing is for us to deliver the message faithfully. The Spirit of God will be the One that will work in the hearts of the hearers to bring about the change. In the case of the Israelites, the preaching resulted in judgment. But there are others who will hear and turn to the Lord in repentance. The people f Nineveh did just that at the preaching of Jonah. And so, we preach knowing that our work is never in vain (1 Corinthians 15:58). "The result of our preaching is not up to us. The important thing is for us to deliver the message faithfully. The Spirit of God will be the One that will work in the hearts of the hearers to bring about the change." - yes, yes, yes. You never know when even the smallest comment might stir another to approach the Lord. For Jeremiah, his greatest impact came far after his death. See Hebrews 8:8-12. I heard a sermon on those verses today. Some 2300+ years after Jeremiah quoted the lines. Awesome. God's work is never in vain. Matt, as always, thank you for your comments and support. It really is liberating to realize that the work is all of God. Once you come to that realization, you can then take a breath and not be fretting about whether people respond or not. Remember the passage in John 4 where Jesus tells the disciples that "others have sown and you reap the rewards." Some of us are used by God to be the sowers. But that work is no less important than the reaper. We just need to continue to work and let the rest up to God. What a great blessing that is!